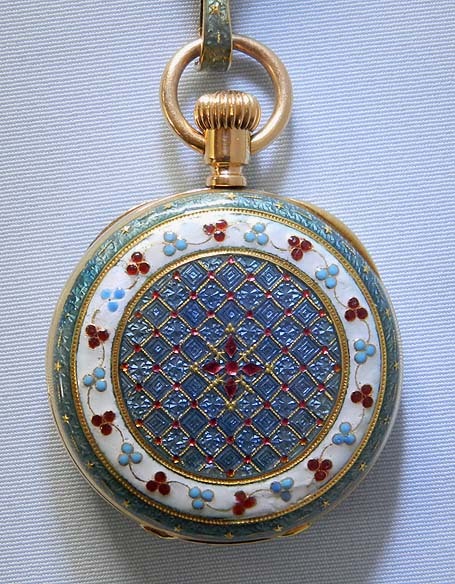 Fine and lovely Patek Philippe 18K gold and enamel ladies pendant watch with pin and certificate, circa 1891. 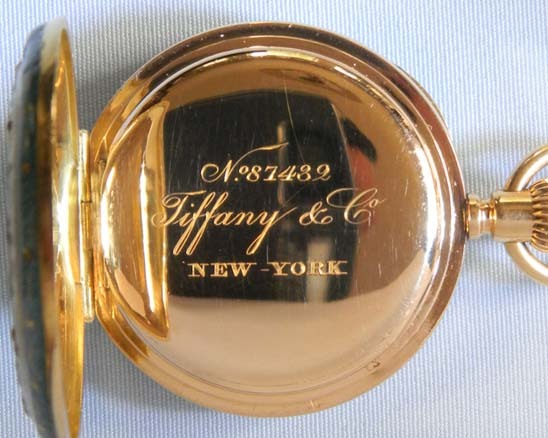 The case (small restorations) back beautifully enameled in various patterns and colors. 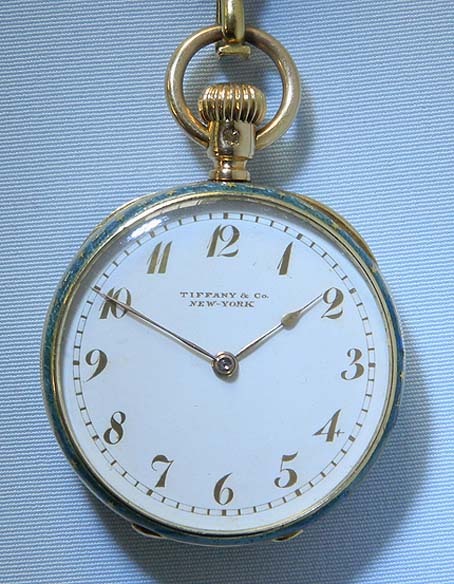 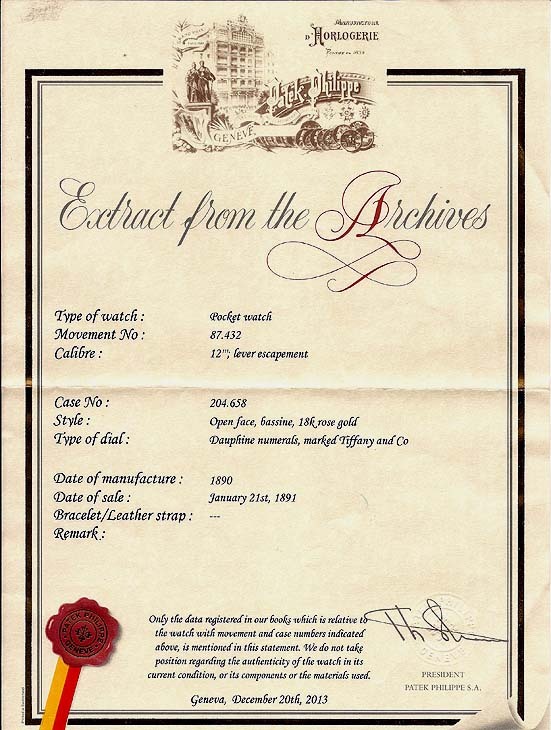 White enamel dial with gold markings and gold hands. 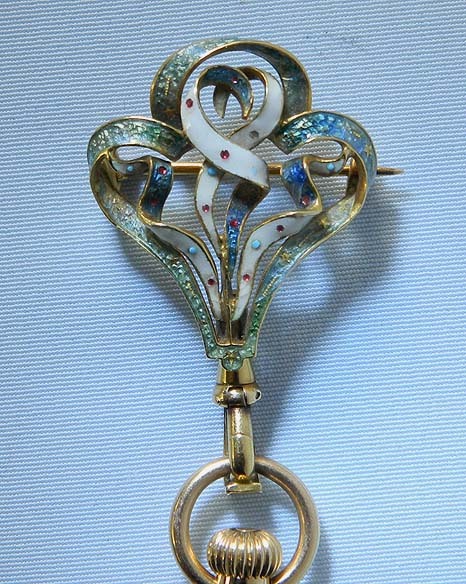 Matching pin (small restorations). 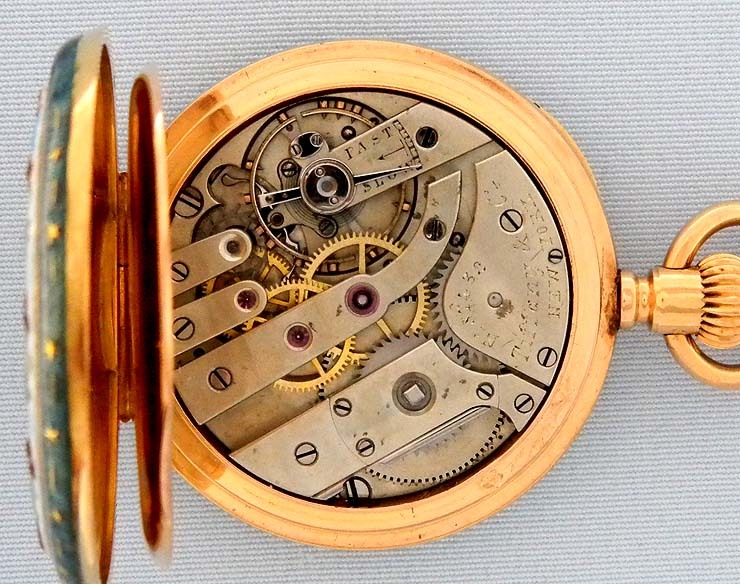 Nickel 16 jewel movement with moustache counterpoising.